When I was in high school, my mom randomly brought home a book one day. I won’t call it a “diet” book–it was more like a fitness plan. She read it and then I, curious, read it as well. It was a smart plan, based on solid science of the body, and we were both inspired. We knew we could be living and eating better (at the time, I was hardly eating at all), so we decided to partner up and start taking care of ourselves. Six days each week, we got up together at 4am and exercised, alternating between cardio and lifting. We ate several small meals throughout the day and I stopped counting calories. As part of the plan outlaid in this book, it was also required that one day per week be a free day. And by free, I mean free. Eat as much as you want, whatever you want, whenever you want. So every Sunday we did just that, all day long until we couldn’t eat a single bite more. We would start off those free days by waking well before the sun rose and driving to the bakery at our local grocery store. More often than not, we’d get there before they finished stocking the case and would have to wait. No matter. After a week of tuna, turkey burgers, and brown rice, those warm, freshly glazed doughnuts were so worth it. We’d each grab a couple (it was a free day after all), but the only one I truly cared about, the one that gave those trips meaning, was my blueberry fritter. It was just like an apple fritter, all knobbly and sticky, but with a purple tint and that heavenly berry flavor. I often wish that I had flown back and eaten a baker’s dozen before I went gluten-free. I never really got a chance to say good-bye…. But that’s the beauty of being able to create recipes (with the help of ratios!). You can bring yourself back to a moment, enjoy a taste of something you know you’ll never experience again. 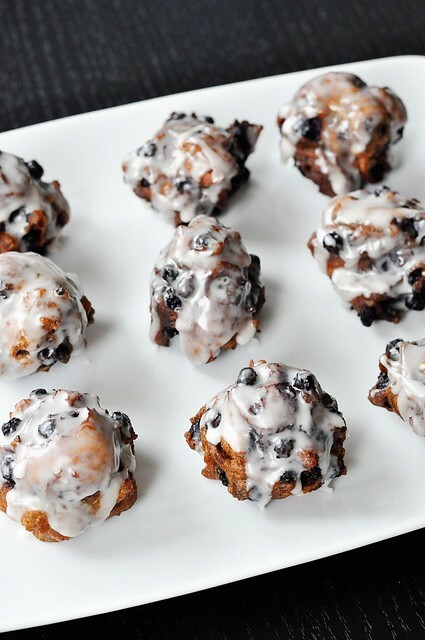 These blueberry fritters are crisp on the outside and soft on the inside, with just the right amount of sweet from the glaze. While they may not be the massive doughy treat I once so loved, they definitely recall that time for me: the excitement of those early mornings with my mom, her foot pressing on the imaginary passenger side break as I drove us to get our doughnuts. Of course I can’t go back–and I’ll never have one of those fritters again–but maybe one day I can share some of these with her and we can remember that time together. This fritter batter, right up until the vanilla, can be used for any filling that you like–sweet or savory. If your filling of choice is particularly wet, you may want to reduce the liquid a bit, but feel free to add spices or extracts as you see fit. For my blueberry version, I like to use frozen berries because they help to give the batter a pretty purple tint. Pour about an inch and a half of oil in a cast iron skillet (or a dutch oven or deep saute pan) and set it over medium heat. In a medium bowl, whisk together the millet, brown rice and tapioca flours, the xanthan gum, baking powder, and salt. In a small bowl, whisk together the mik, egg, and vanilla. Add the flour to the milk mixture, whisking until thoroughly combined. Place the blueberries in same bowl in which the flours were mixed. Pour the batter on top of the blueberries and stir to evenly distribute. Drop batter into the oil in tablespoon measurements, adding no more than 6 at a time so as not to overcrowd the pan. 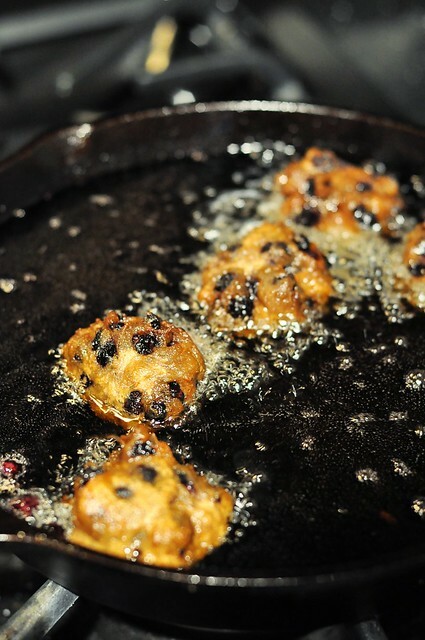 The fritters should take 3-5 minutes on each side to reach a very deep brown. It is important that they take this much time so that they cook through entirely. Adjust the heat under the oil as necessary. Remove finished fritters to a paper towel lined plate to drain briefly, then transfer to a wire rack set over a piece of waxed or parchment paper to be glazed. Allow to cool at least slightly before eating; these fritters will hold up well over extended periods at room temperature. In a small bowl, whisk the confectioner’s sugar with the milk and vanilla until smooth. Drizzle over hot fritters, using just enough to coat the top and drip down the sides. Those blueberry fritters look so decadently good. I may have to make some with my (very small) apple harvest! 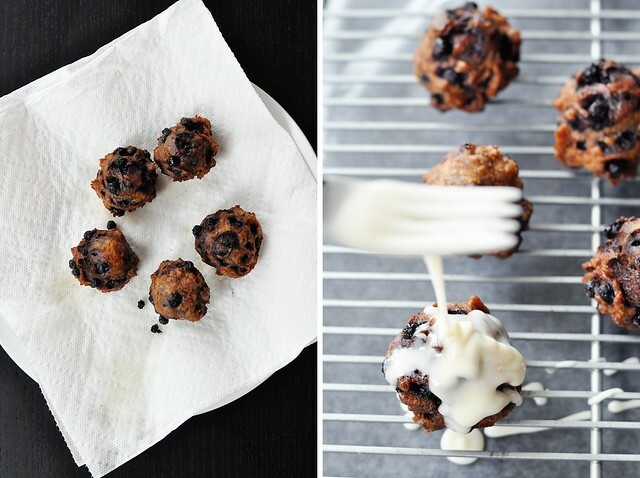 These look incredible – Dare I say even better than the gluten-y blueberry munchkins from Dunkin? Thanks for the recipe! Have you tried making them without gum? 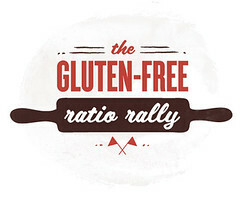 Please let us know if you do b/c that is the #1 reason I’ve loved Ratio Rally each month–lot’s of recipes without gums. Heather, I haven’t tried them without the xanthan gum. When I first started baking gluten-free a couple years ago, I tried doing so without gum, and it wasn’t until I began using it that I was able to achieve the sort of texture and structure that I really wanted in a baked good–not to mention how greatly it improved the appearance! If the gums bother your stomach, I believe there are some posts on other blogs with suggestions for using flax or other seed meals instead. Or I am always an advocate for experimentation and would encourage you to use this recipe as a jumping off point and make it your own! Britt, these are downright gorgeous! I love the story you tell – it gives so much meaning to those fritters. I want to try these! Wow, these look incredible!!! I love your philosophy of a free day – I think I need to embrace that And blueberries make the perfect addition! Britt – swooning here. those look like I could grab some from your photos and I want to! These look lovely! (And I love the philosophy of a free day). Britt, I love the story that you shared! Such a great memory, and also a good lesson: “free” days can (and should!) be part of a healthy lifestyle. Your fritters look awesome. I’ve just stocked my freezer with pounds of Maine blueberries to get us through the winter, and I will definitely be reserving some for fritters! 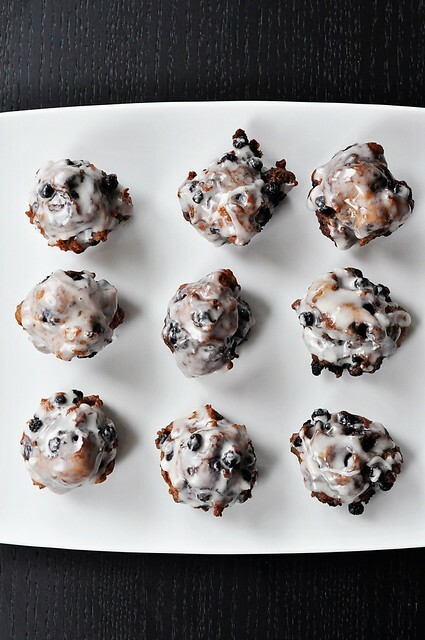 Wow, I’ve never had a blueberry fritter – these look so good! And that fluffy texture looks scrumptious! mmmmm, fritters! Those look mouth watering. Hi Britt, I’m new to your blog, it was these fritters that led me here. What a wonderful memory and such a gorgeous way to enjoy blueberries! Love this. 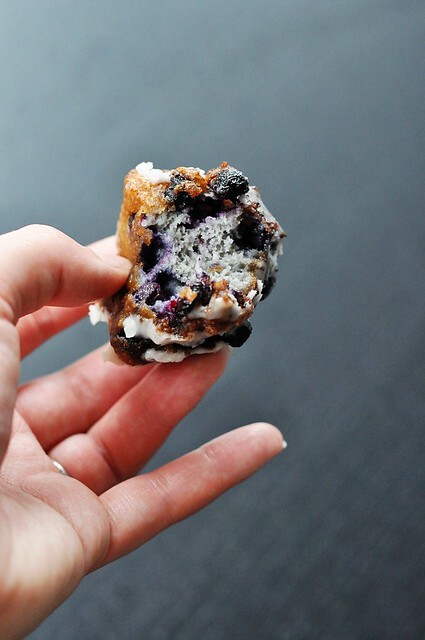 How have I lived my whole life without eating a blueberry fritter? I must fix this immediately! Quite a unique fritters. That’s lovely. These sound unusual yet delicious! I’m not GF, but you can bet I’ll be making these and will not be changing a thing! They truly look perfect as is. Beautiful in looks and in simplicity! I bet they taste as wonderful as they look! We have some wild baby blueberries that this would be perfect for. I think a lot of people could undo a week of dieting given a free day with these around. They look amazing. Love the idea of a “free day” and those memories of your mom pressing the imaginary passenger brake to get donuts. I’m teaching two of my kids to drive right now and I wish I had a brake! Your fritters look so cute! Oh Britt, my mouth is watering just looking at the pictures. I think these would be scrumptious with almost any fruit. The family is going to love these! These look amazing! I’m going to make these this weekend! these are exactly what I’m looking for. My sweetheart really misses his morning fritter. do you have suggestions to sub the tapioca flour as his allergies extent there. Hi Jennifer, you could try arrowroot in place of the tapioca. If that doesn’t fit with his allergies, potato starch could be another option. Enjoy!